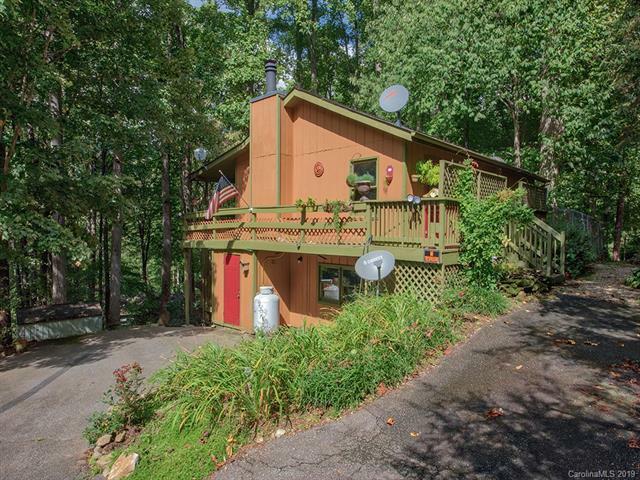 49 Canary Lane, Maggie Valley, NC 28751 (#3475670) :: Robert Greene Real Estate, Inc.
Master, Laundry, Kitchen, Great Room all on the main floor. 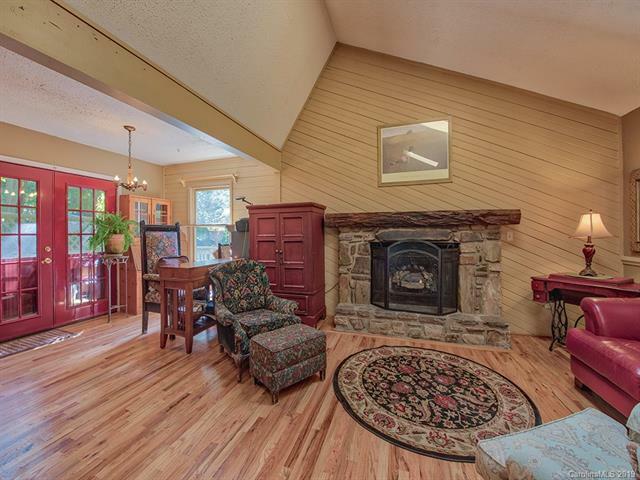 You will love the bright, open feeling in this 2/2 home (**WITH BONUS ROOM**). Kitchen island open to the great-room with a stone fireplace, hardwood floors, skylights and lots of windows. 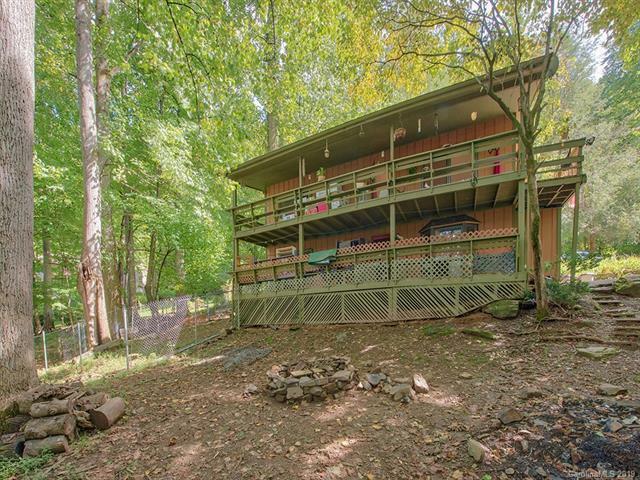 The upstairs/main floor deck wraps around with access to the fenced side-yard for Fido. Downstairs there is a 2nd laundry room, 2 bedrooms and a full bath, along with a large bonus area (or great for an office or hobby room, family room). 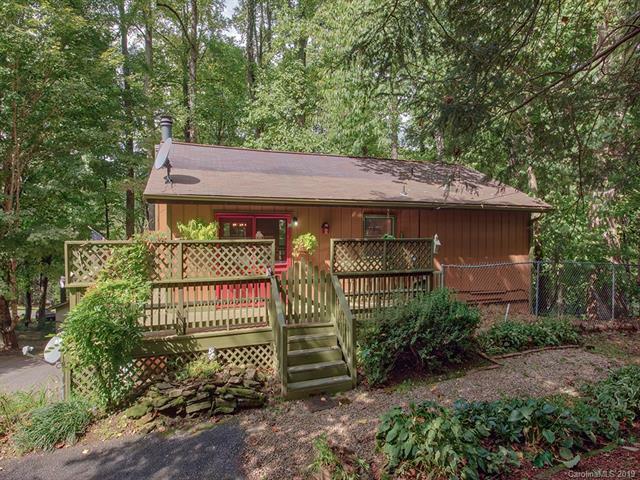 Back yard is wooded and includes a large storage building and fire pit area. Easy access - just up the hill a short distance from Soco Rd.